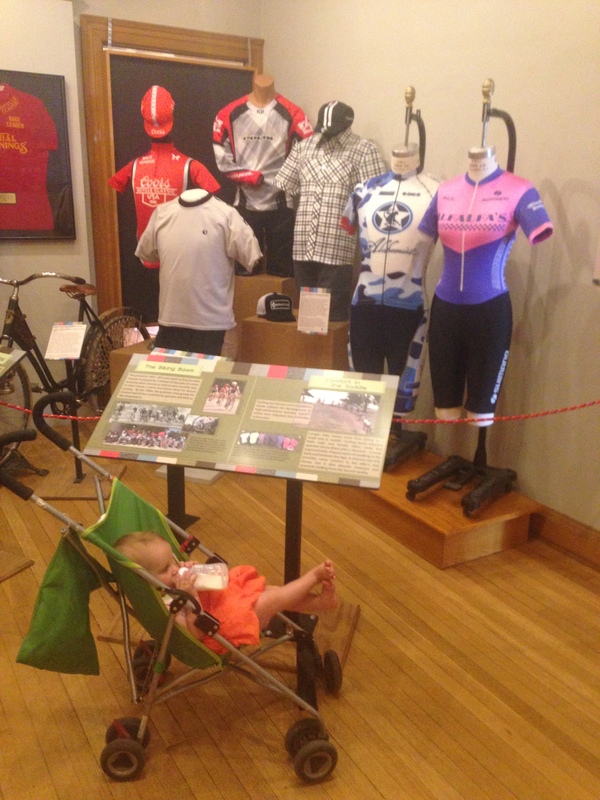 Go get your culture on and ride up the Hill to the Boulder History Museum, where the 2013 Camo Team Kit is on exhibit with the likes of the Sochi Olympic snowboard suit! 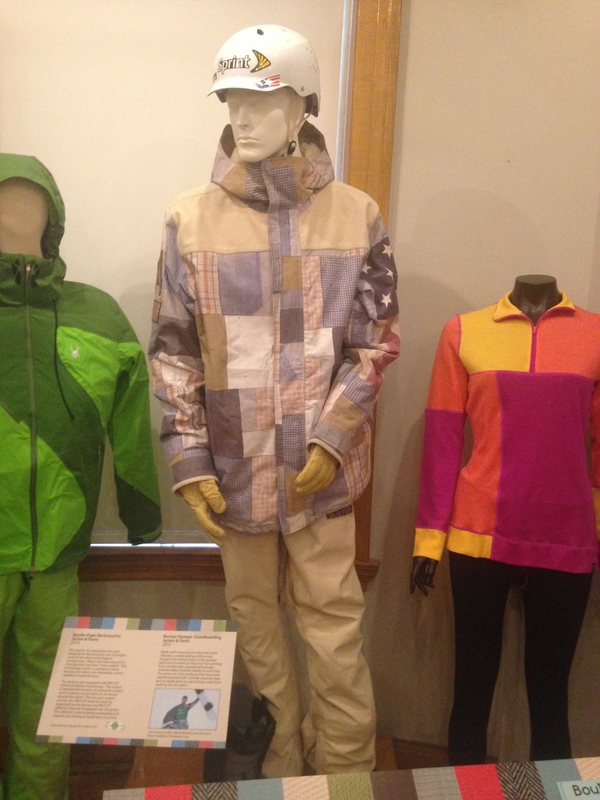 The “Evolution of Activewear” exhibit starts with plaid Woolrich hiking apparel from the mid-1800’s and traces the activewear textile industry to the most recent developments in Lycra (yeah, recycled Blackboxx!) 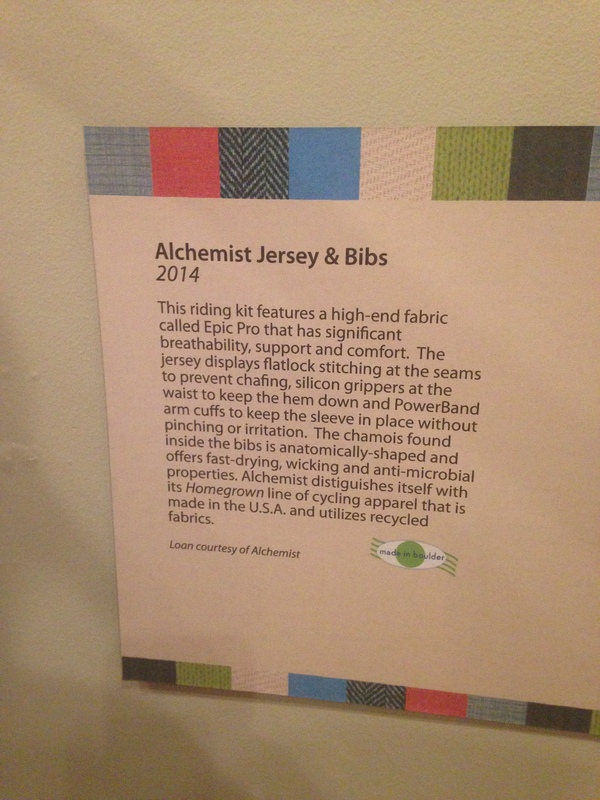 and chamois technology (yeah, EIT!). The plaid snowboard suit courtesy of bronze medalist Boulderite Alex Diebold is pretty cool to see, too. The History Museum is super kiddo friendly, with an exploration room full of crafting materials. It’s definitely worth the trip!